Celebrating our 14th year of serving Cape Cod! 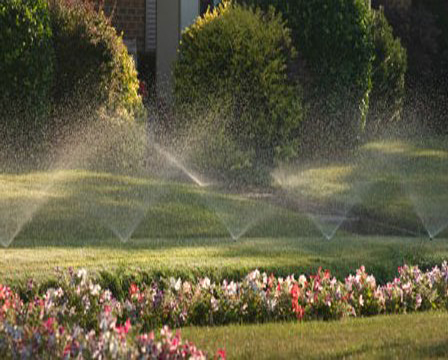 Nordy's Irrigation specializes in quality residential irrigation design, installation, ad-ons and complete service. We have been installing and servicing irrigation systems on Cape Cod since 1999. We continue to take pride in our work and provide "Nothing But the Best" in professional service. Call our office and you will be greeted in a professional and courteous manner. We believe that good communication with our customers is key in cultivating a long and rewarding relationship.  Simplicity - Save time and effort. Once an irrigation system is installed youll never have to drag a hose all over the yard, never have to try and figure out if youve applied enough (or too much) water, and youll never have to worry about leaving the water on or watering the lawn while youre away.  Efficiency - Since the system is automatic, you dont have to be there to physically apply the water. Youll have more free time to enjoy your favorite activities, knowing that your landscape is receiving the water it needs to thrive. Water is a precious resource and conserving it is everyones responsibility. Effectively watering through an irrigation system conserves water by distributing the necessary amount of water where it is needed. This saves many gallons of water that would be wasted by inefficient and less controlled means of watering.  Value - Attractive landscaping requires substantial investment and careful maintenance. An automatic irrigation system will protect that investment by assuring healthier, longer living plants and turf. Plus, installing a system is a convenience upgrade that will measurably increase your propertys appraised value and curb appeal.